A copy of the Arquitecturas Colectivas / Collective Architectures book published by Vibok Works + Hard copy of one of the handbooks published by AACC on the legal aspects of citizen-led activation of urban spaces: Unused Buildings / Vacant Blocks / Public Space / Roof terraces + Digital self-print version of the handbooks + Your name on the list of supporters on ArquitecturasColectivas.net. Workshop on the use of the tool ArquitecturasColectivas.net + Hard copy of one of the Handbooks published by AACC on the legal aspects of citizen-led activation of urban spaces: Unused Buildings / Vacant Blocks / Public Space / Roof Terraces + Digital self-print version of the Handbooks + the name of your organisation on the list of supporters on ArquitecturasColectivas.net (please note: the workshop will be imparted by the developers of the software, but does not include travel expenses and/or per diems in the case of workshops held outside of Catalonia). Últimos retoques en el sistema de edición de noticias y convocatorias. Recopilar y editar documentación 'histórica' de la red para nutrir el apartado de descripción de la red. Mejor integración de las guías para activación de espacios y de otros manuales editados por la red. Revisión de las características gráficas y de navegabilidad del interfaz. Adaptación a la versión más reciente de Drupal. Proveer de herramientas para publicar de forma sencilla en diversas redes sociales. Integración de herramientas de contacto y comunicación entre usuari+s y con el resto del mundo. Integración de un gestor de envío de newsletter que servirá para mandar un boletín de las noticias publicadas en AACC a todos sus usuari+s y a aquell+s que, aunque no lo sean, opten por suscribirse al mismo. Mejorar la usabilidad de los grupos de trabajo: Hacer que el uso de esta herramienta sea fácil, intuitiva y sencilla. Se integrarán nuevas utilidades y se preparará un sistema ágil de visualización de la actividad de los grupos. Versión básica de herramientas de geolocalización y de inventario de recursos integradas en el gestor de contenidos. Utilidades avanzadas de geolocalización. Desarrollo de un sistema propio de mapeo colaborativo. Desarrollo de una potente herramienta de inventario, intercambio y gestión de materiales. Arquitecturas Colectivas (AACC) is a network of individuals and collectives who share an interest in the participatory construction of the urban environment. AACC offers an enabling framework that allows collaboration in projects and initiatives of all kinds. 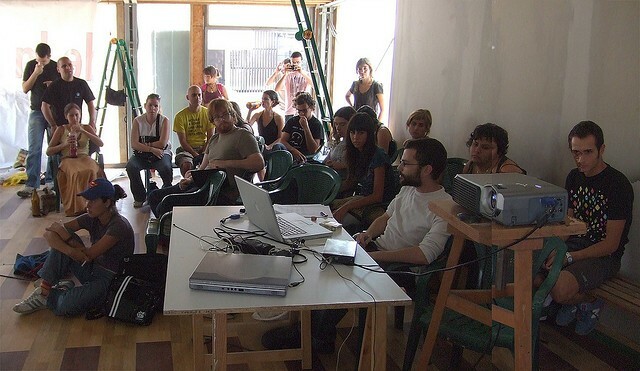 The network has been expanding since it was set up in 2007, through the contributions of different types of agents: concerned residents and urban activists, students and teachers, artists and cultural managers, landscape architects and environmentalists, urban planners and architects, political scientists and lawyers, anthropologists and sociologists, hackers and cooperativists…. a whole array of human beings, who ultimately all live side by side, and are keen to deepen our connection with the environment we dwell in. Once we had embarked on this adventure, we realised that we needed to create a shared space – a space in which to share and spread our projects and interests, and in which we could set up spaces for teamwork and collaboration. 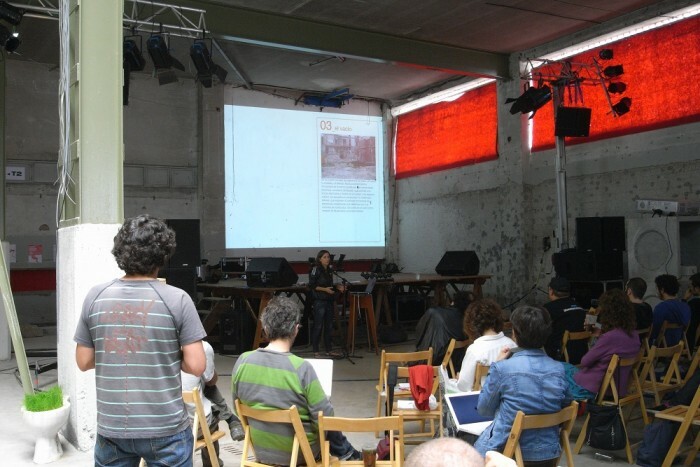 That’s when the ArquitecturasColectivas.net website was born, as an open source tool that brings together, in a single site, all kinds of applications that boost shared creativity in the urban realm. A meeting point and a space for dissemination and open learning, open to everybody. ArquitecturasColectivas.net is a platform that allows users to share and publicise their content and provides tools for collaborative work. Anybody can use it by simply registering as a user. And all it takes to register is an e-mail address and a username. The information that users enter is not used for any purpose other than identifying the source of the content and providing basic technical support. ArquitecturasColectivas.net also offers users the option of organising self-managed working groups that can be set up by any user. Each group can choose the extent to which they interact with the rest of the network. They can also independently add new members, create content, manage archives, and so on. ArquitecturasColectivas.net also publishes resources that are of general interest to the community, such as How-To Guides on relevant technical and legal issues. 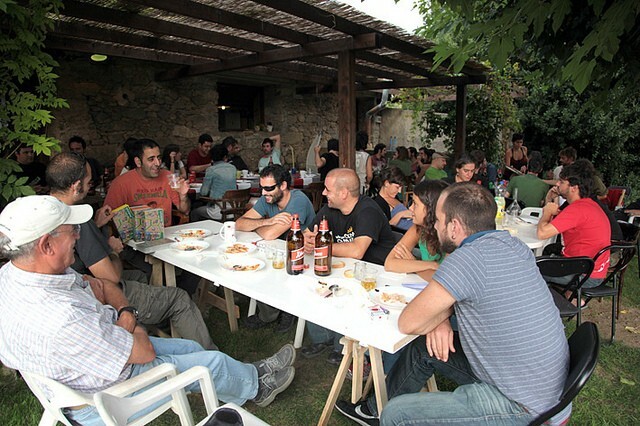 ArquitecturasColectivas.net originally sprung from the desire to interconnect and equip the community of individuals and collectives who share an interest in the commons and in the construction of the urban environment in a plural, participatory way. ArquitecturasColectivas.net is based on an organic system, which develops in accordance with the needs and experiences of its users. Our current goal is to expand the scope and features of the platform – to implement the improvements suggested by our current users, to fulfil the needs that arise from a more intensive shared use, and to allow it to grow. In the short term, we need to develop the mapping and geolocation tool, improve communication capabilities among the users of the network, boost the interaction and user-friendliness of each of its parts, and fulfil some specific requests from the working groups, as well as finishing some of the static content of the site. The team behind this project has been working collaboratively for over five years in the context of the AACC network, promoting and organising meetings, projects for urban change, research, and the creation and dissemination of tools for social empowerment. 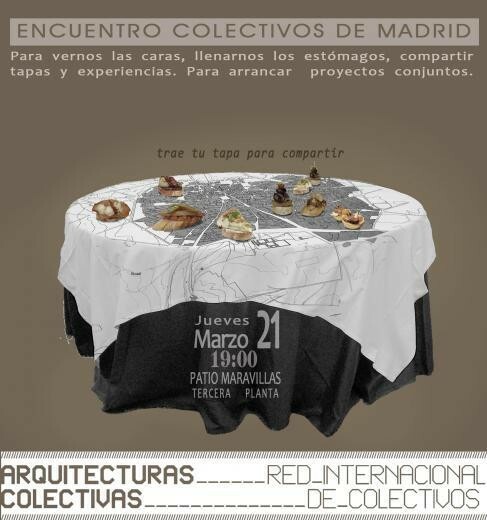 There are a growing number of people involved in the development of ArquitecturasColectivas.net. The core team consists of David Juárez, Edgar Saumell and Eliseu Arrufat, members of the collectives Straddle3 and LaCol. 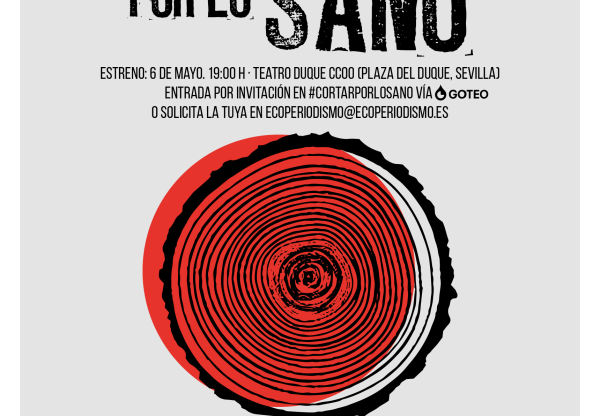 Also important contributions have been made by Sergio Moreno (Hackitectura), Alejandro Bonasso (Recetas Urbanas) and Unai Reglero (Künstainer), among others. An online, accessible tool that can be used by anybody. It includes features that enable the dissemination of initiatives and processes, mapping, storage and file management utilities, image galleries, collaborative document editing, practical how-to guides on many aspects related to urban intervention and self-management, a database on sharing material resources, and so on. 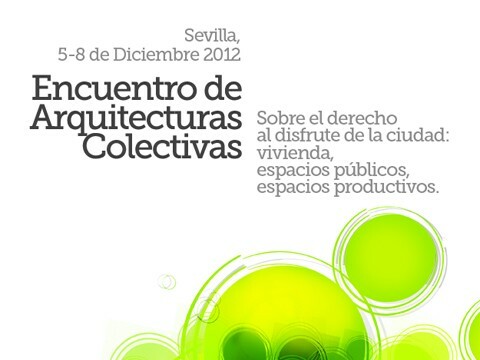 The content published on ArquitecturasColectivas.net will be freely accessible. This applies to the news published in different formats and also to the handbooks and how-to guides and the results that working groups approve for publishing. Only the work of each of the groups, at the internal level, will be exempt from this condition. We will need people to test things when we incorporate new tools and possibilities in the system.